Thursday in Berkeley County Court, Trey Phillips plead guilty to ill treatment of animals and was sentenced to 30 days in jail. Other charges of unlawful conduct to a minor were dropped. Phillips was arrested in April of 2018 on the animal torture charge . He had been previously arrested in February of 2018 on the child charges. 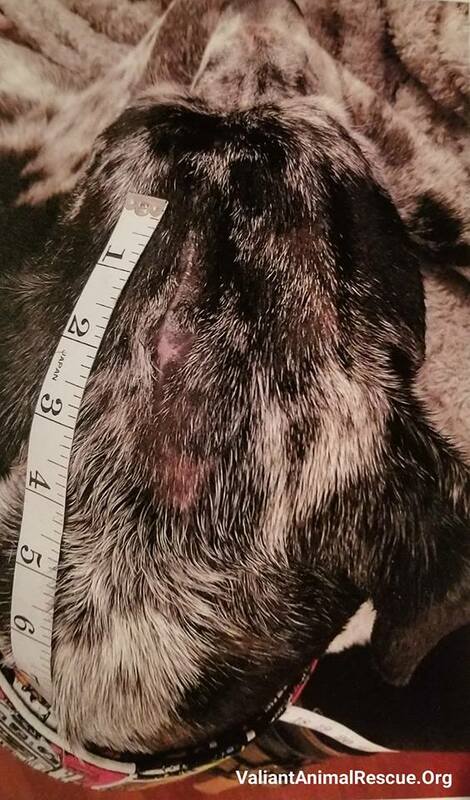 Valiant Animal Rescue & Relief (VARR) aided in investigating the case involving Phillips’s Great Dane named Meiko, whom VARR renamed Rico while he was in protective custody. Rico came into custody of Valiant in late December of 2018 after it was discovered that the dog was in poor condition and had potentially been a victim of animal cruelty. Rico was skin and bones and had a broken skull when Valiant stepped in. Over 70 lbs under weight, Rico spent the next few months recovering under the care of Valiant Animal Rescue with the help of Michelle Reid, Valiant’s Executive Director and Forensic Specialist. Rico spent lots of time at Lowcountry Dog Headquarters and with other volunteers. Everyone who met him, fell in love with this gentle giant. How anyone could harm this creature is beyond comprehension. Due to his deteriorating health issues, Rico was laid to rest last spring. While it was tragic loss, he was surrounded by people who loved him. Phillips admitted in court to hitting his dog with a belt and that he beat Meiko/Rico with a cooking pot until the pot bent. It seems that his sentence was part of a plea deal in order have greater charges dropped. He will spend about a month in jail for torturing a defenseless animal. Rico was indeed a gentle giant as shown in the below pictures, he made friends with everyone he met including Peanut, Lowcountry’s Dog’s Chief Canine Officer, as well as tiny VARR rescues, Gerbil and Buckwheat. Valiant Animal Rescue and Relief specializes in animal cruelty cases all over the Carolinas and works with State, Local and Federal law offices to bring justice for the animal victims. This case is one of numerous cases they have been involved with in the past year. In 2018, VARR helped over 1000 animals from horses to livestock to dogs and cats. If you would like to make a donation in Rico’s memory to help VARR fight animal cruelty, donate below.